recognized by all state and tribal regulatory bodies as a prerequisite to being licensed. I sat down with Marc to chat a little about himself and his upcoming seminar. Let’s get the formalities out of the way. Tell me a little about yourself. What’s your background and how did you get started in reffing MMA? FENNELL: "I recently moved to Minnesota from Michigan. I work as a fire origin and cause investigator and am retained by insurance companies, product manufactures or attorneys. I work for a great company and they are the ones who brought me to Minnesota. It has been a great experience thus far. I started in MMA at the Michigan Sports Camp and Dan 'The Beast' Severn. At the time, I was working for the County Sheriff's Department and felt that understanding MMA would cross over into my daily life. Dan was promoting 'The Dangerzone' shows in Indiana and asked if I would be interested in being a referee. Looking back, I had no idea what I was doing, but it was an honor that Dan had the confidence in me to keep the boys safe. Part of Dan's training was to roll with him on the mat. He absolutely destroyed me. I was covered from head to toe in bruises; but it helped me stay focused on getting better. I am proud to say that I never submitted Dan and when we would spar, I would throw an awesome clean punch that would connect to Dan's face. I could feel the impact begin from my fist and exit through my feet; unfortunately Dan would give me his cheesy grin and smile. Then the wrath of The Beast would begin. Some times I would show up to work and my Chief would suggest that I choose a different hobby. Dan continues to be my mentor and I always seek his opinion when I can. He has helped me professionally and to understand this business. However, I knew to be a better referee I had to improve myself by understanding the sport. I joined a BJJ gym and started to learn the finer details of this lifestyle. I didn't want to be a referee who had no idea about the ground game. My intent was to be well rounded." You are one of eight people in the world who is approved by the ABC to conduct ABC-certified MMA referee training, that’s pretty impressive. What was the process you had to go through to get that approval? FENNELL: "Thank you. The process that I went through was pretty detailed. I submitted my resume, training materials and letter of recommendations to the ABC training committee. At the time, Andy Foster was the head of the Georgia Athletic and Entertainment Commission and he suggested that I come down to Georgia and conduct a MMA referee seminar. Andy sat through the entire course, asked questions and participated as if he was a student. He then interviewed me about the training, 'what if' situations and my experience. Finally, at that year's ABC Convention, I was given the honor of being approved as an ABC MMA referee trainer. It seems like MMA officials are taking a lot of heat as of late. After almost every big event, there’s a story out there about how an official screwed a guy. What’s your opinion on the current state of MMA officials? FENNELL: "MMA has grown so fast, that it has surpassed the pool of quality referees. We as MMA referees need to evolve with the sport. As an example, compare the fighters now to five years ago. These fighters have elevated their game so fast that we as referees need to ensure we know what they are doing. No longer can referees just show up and enter the cage. There needs to be preparation just like a fighter. Referees need to get on the mat and roll." When you see a referee who you’d consider 'bad' what’s generally his or her biggest issue? FENNELL: "I see a couple of issues with referees. One is lack of experience. As I mentioned above, the pool of quality referees is far smaller than the sport itself. But to get experience the officials need smaller shows to learn and understand the craft. They need to develop in the amateur ranks, just like a fighter before they are assigned a pro show. The second issue is lack of confidence. 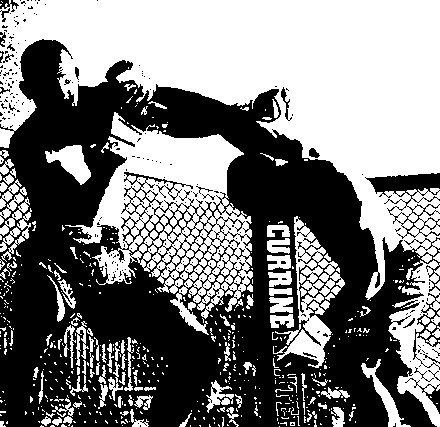 A fighter can sense when he has a referee that is not confident. That is not good for him, his opponent or the sport. Let's try to understand why the referee is lacking confidence. Is it a lack of understanding the fundamentals of the sport? Does he need more training on the mechanics of being a referee? Or is the show overwhelming? It's ok to be nervous; but that is different than lacking confidence." On Aug. 23-24 you will be putting on one of your trainings here in Minnesota. It looks like the whole training will be a total of close to 20 hours over the entire weekend. Tell me a little bit about what you’ll be doing for that long. FENNELL: "It's a little over 20 hours of classroom time, but the mentoring can take at least a year. I take my approval as an ABC certified MMA referee trainer very seriously, and I don't approve or give my blessings to just anybody. This sport means so much to me that I am a little over protective. After the classroom sessions, we get on the mat and roll. I like to see that they have at least a basic understanding of BJJ, by applying various submissions and how to get out of those submissions. They have both a practical and written exam. The practical is a two-part exam where they are evaluated on submissions and referee mechanics. Once again, I don't expect them to be perfect, but at least have an understanding. The written test includes all the fouls and rules that apply to the referee. Finally, the mentoring is the part I enjoy the most. I ask that the student send me videos of their shows and we discuss the bout. During our discussions, they actually teach me some things that will help me better myself. Once I feel that the student has evolved and has become an ambassador to this sport, I give them their final certificate. I’ve been involved with sports my whole life. I’ve played, and still play, various sports, have coached various youth sports for over 20 years, and have even dabbled in officiating. I always found that being on the officiating side has given me a better understanding of them when I’m on the other side." Is your training only for people looking to get into reffing or is it something that current referees and fighters, trainers, etc, would benefit from? FENNELL: "I think that anybody can benefit from attending any one of us eight instructor's seminars. We, as approved instructors, want to ensure that we educate everyone; it improves the sport. I always encourage fighters, trainers and corners to attend because over the years I have seen rules or fouls interpreted incorrectly. This may have an impact on the fighter during the bout. If you think about it, when does the fighter/referee interaction occur? It's at the event and their focus is on the fight, not on the referee. At the seminar, it is a relaxed atmosphere where we can all sit and learn from each other. This also will benefit you and the members of the Minnesota Office of Combative Sports. If a complaint is filed, it will help the members make an educated and correct decision. Proper education is the key to success.